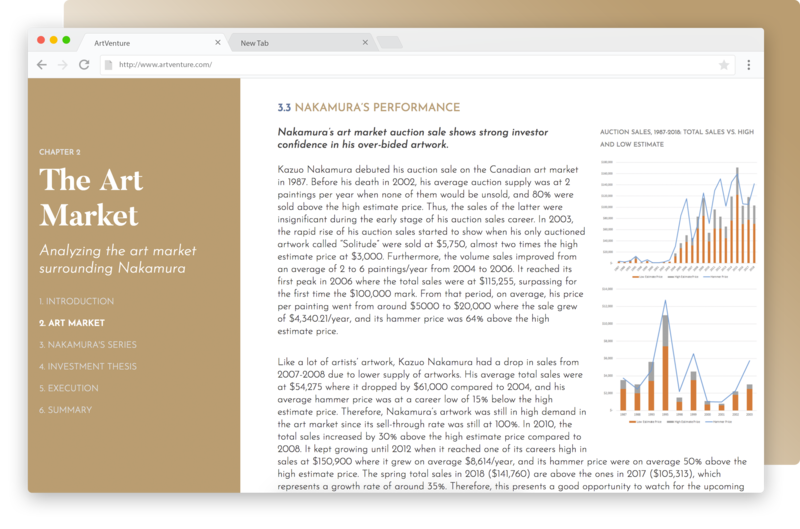 ArtVenture is an art market analytic platform integrating unparalleled art history research, quantitative price analytics, AI art appraisal, and market monitor, in one fully integrated platform to help collectors making well-informed decisions to buy art. Participate in our survey for the Canadian Art Market Report. 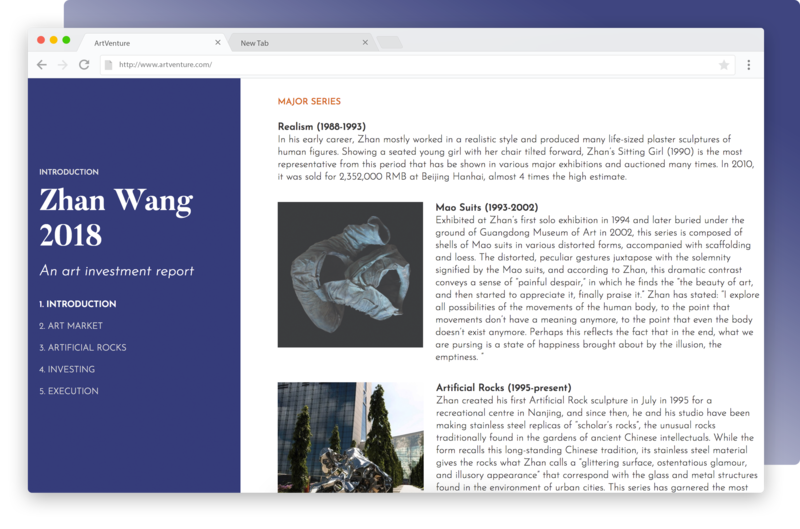 Introducing the first-ever art analytics platform of its kind: a single, comprehensive source for art-related due diligence, historical research, price analytics and market insights. 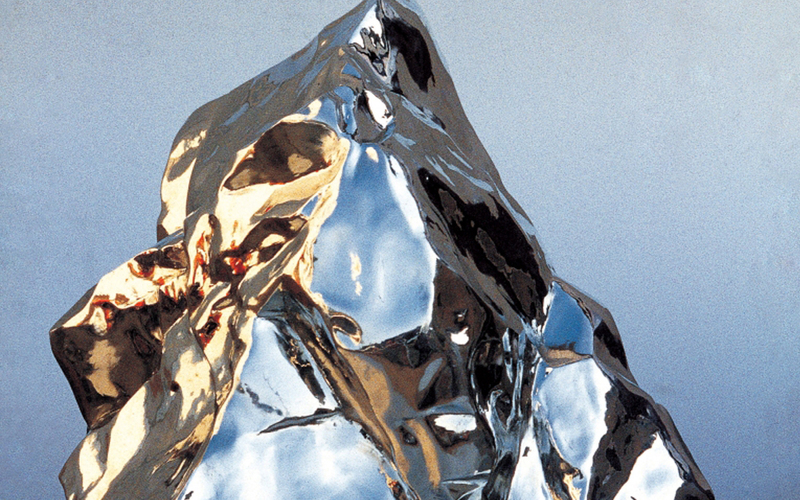 Zhan Wang is considered as one of the most important contemporary artists in China employing mediums such as sculpture, installation, performance, photography and video. Kazuo Nakamura (b. 1926) is one of the most important Canadian abstract painting artists and a founding member of Painters Eleven, the Canadian Abstract Expressionists group founded in Oshawa in the year of 1953. Guido Molinari OC, LL.D., RCA, was born in Montreal, Quebec, Canada on October 12, 1933. With a dazzling career spanning over fifty years, Molinari continues to rightfully hold his rank as one of Canada’s most esteemed modern, non-figurative artists. Request an invite to receive early access to our public beta, ArtVenture newsletter, and our State of the Canadian Art Market 2018 report as our gift to you, the patient art collector. 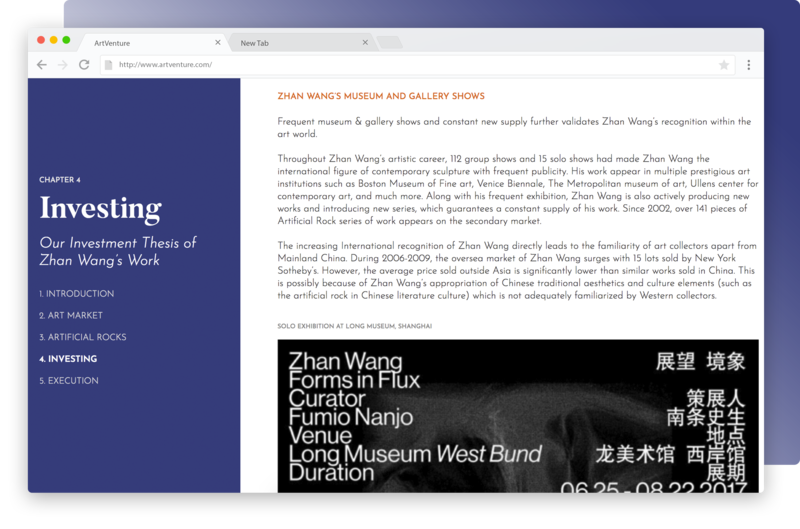 Full disclosure: we designed our platform to facilitate access to the notoriously opaque art market, grounded in a ‘research-first’ approach. Its novelty lies in its integration of extensive art historical research and market intelligence with granular-level analytics. 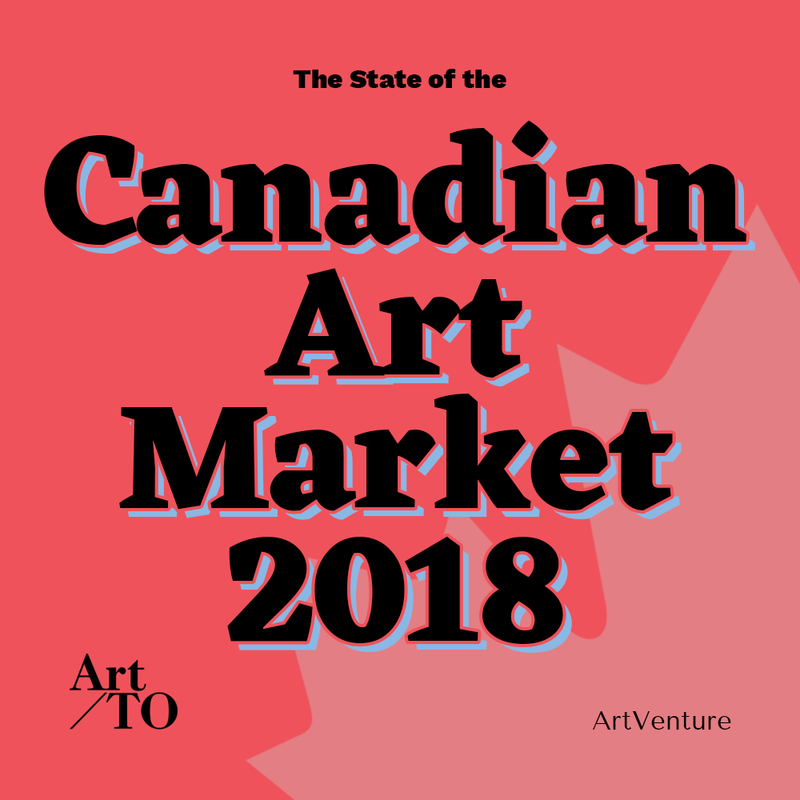 In this report, ArtVenture presents the current state of the Canadian art market, through the lens of Art Toronto. We identify the challenges of gaining access to the market for diverse stakeholders in the art world. In particular, we illuminate the barriers of entry for new collectors of Canadian art and offer potential solution to address them. Your definitive guides to buying art. Access to the most comprehensive art analytics database. The ultimate decision-making tool for art collectors and buyers. From institutional acquisition history, to shifting curatorial focus and exhibition recognition, ArtVenture provides in-depth, meticulous research from an art historical perspective. Identifying a variety of styles and series within one artist&#39;s career is difficult and time-consuming. To alleviate this burden, ArtVenture provides a breakdown of different production periods, with a view on investment potential. ArtVenture provides a holistic investigation into an artist's market performance in correlation to specific macro performance indicators and general market trends. 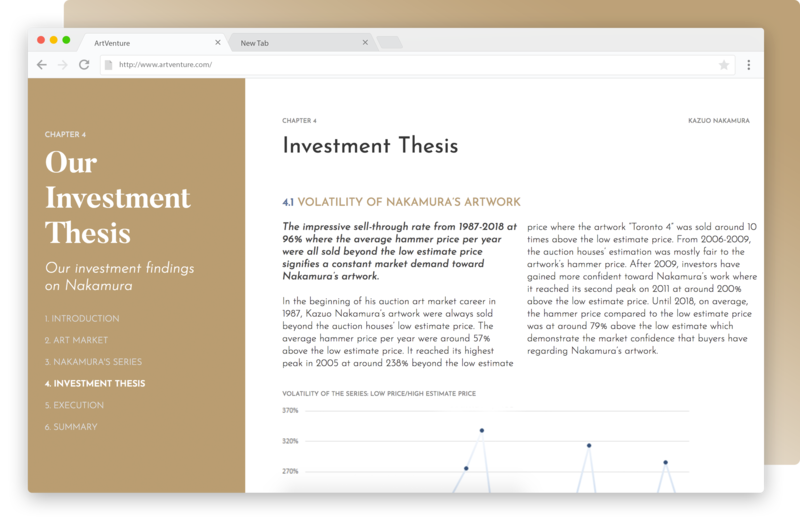 ArtVenture visualizes the artist&#39;s price volatility by first examining the estimated price in relation to the realized one, and through subsequent comparison with the artist's institutional recognition. The go-to investment strategy to buy and sell an artistic work. 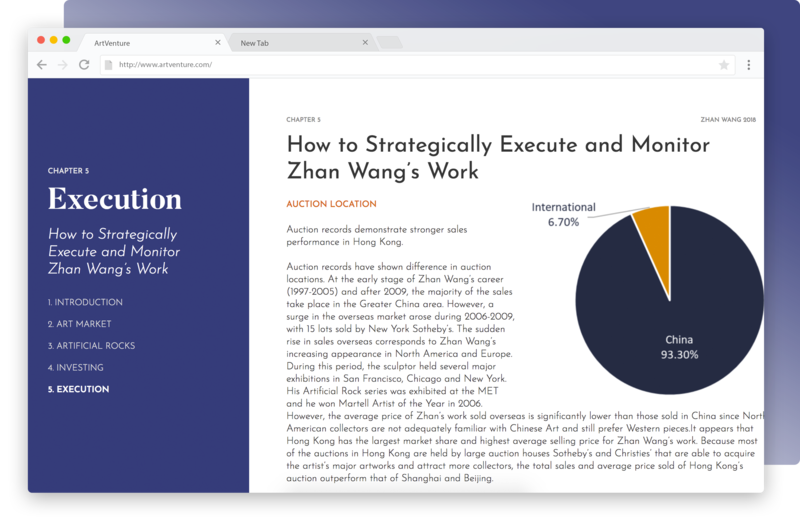 Comprehensive in scope, it recommends specific sales locations and highlights auction house performance, in addition to the preferred production year, series and size. patrons’ journey in selecting works that resonate. Attract new clients with greater ease, made possible by our actionable insights. Collecting is an emotionally—yet also financially—driven process. Make more informed decisions on your art investments today. From acquiring new, highly-coveted collections, to facilitating the bidding process, our platform provides all key information points for more confident, well-informed decision-making. 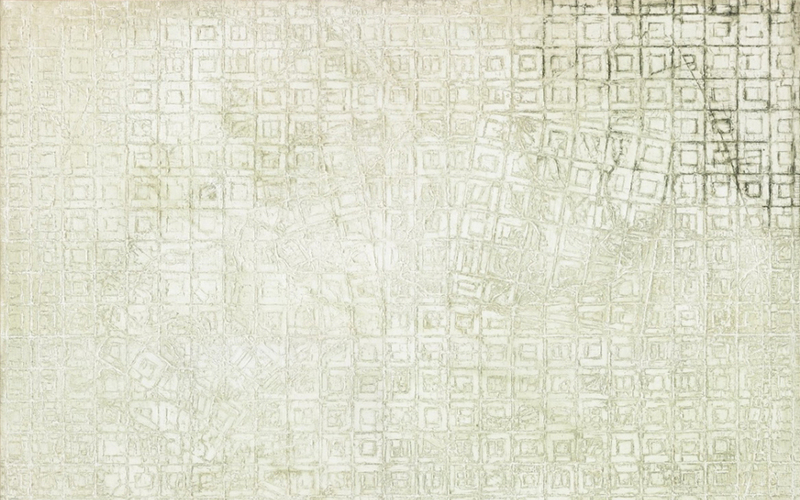 The absence of a standardized tool to evaluate and manage art assets creates additional challenges for you and your firm. Our platform mitigates this by identifying the best artists as an alternative asset class, allowing you to optimize and streamline your advisory practice. Sign up for notifications on our editorial with exclusive updates, collector interviews, and breaking art investment news.